To earn Steamwheedle Preservation Society reputation, players must turn in 20 Goriant Artifacts (250 reputation) or Highmaul Relics (350 reputation). These items can be found in caches in the northwestern area of Nagrand, or from level 100 mobs in the same area. Additionally, certain named elites will drop an item that can be turned in for a large chunk of reputation (500 reputation). These creatures generally require more than one player to defeat, but everyone that participates in the fight may loot the item. A pet that can shield itself and every other critter and then submerge and miss the next few attacks. It's worth noting that this little guy/gal has 10 different breeds. 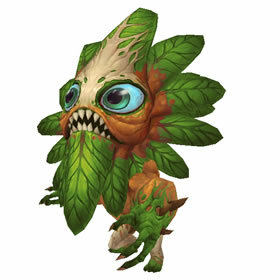 I consider myself extremely fortunate that I got an S/S on my first purchase because it makes Lash a solid choice for a spammable ability and it means Refuge and Sons of the Root will likely go first giving me two avoidance abilities should I choose to use them. Overall a solid pet. Want to also add that Follower Missions will sometimes pop up that offer the Highmaul one that is for rep turnin. Don't have this pet yet, been lazy with the rep gathering.